Happy weekend, friends! 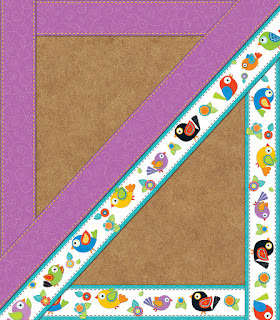 I am so excited to show y'all two fabulous products from Carson Dellosa that you will find so helpful in your classroom! One is great for organizing and recording standards met and covered for each student and the other adds a pretty pop of color to your classroom. Let's get started! I've said it a lot these last few weeks, but I am determined to master organization and my schedule this year! 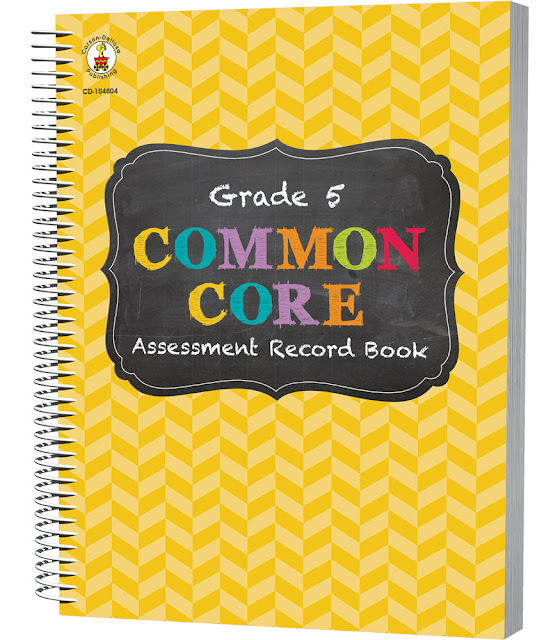 Since I've become agenda obsessed, I've done a much better job of keeping track of things and this CC Assessment Record Book is the perfect resource of keeping track of students' who have mastered certain standards or struggled with others. Plus it's also a great way to show your admins that you've covered that standard on that particular day! Score! I've already filled out when our first assessment of the first standard is going to be covered so that I can record the results. I was constantly referring back to this helpful page to see how to use the tables. 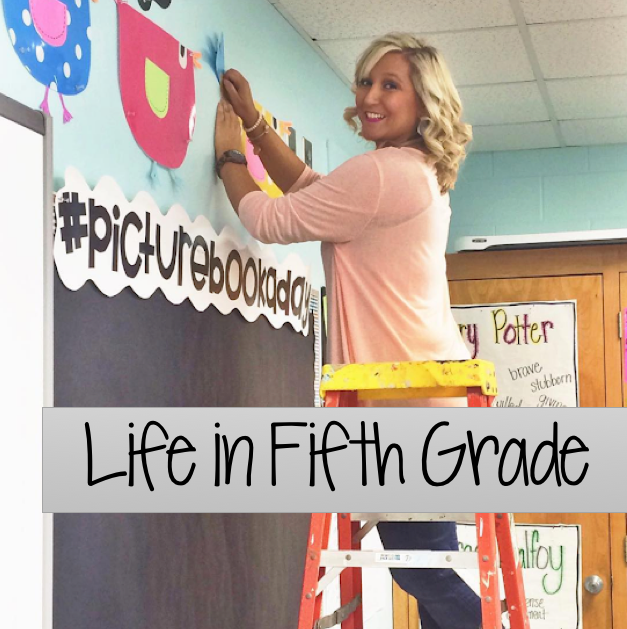 Here's what I do love besides the ability to easily track students' progress with certain skills. 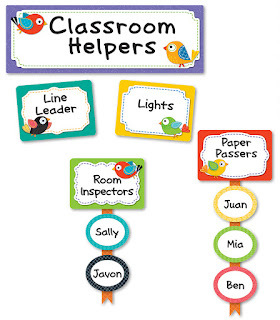 * I love how easy this little books makes determining intervention groups. You can simply look at a students' name and see how they are dong with certain standards and see where they need more help. * It provides fabulous documentation to your administrators to show that you have taught those standards. 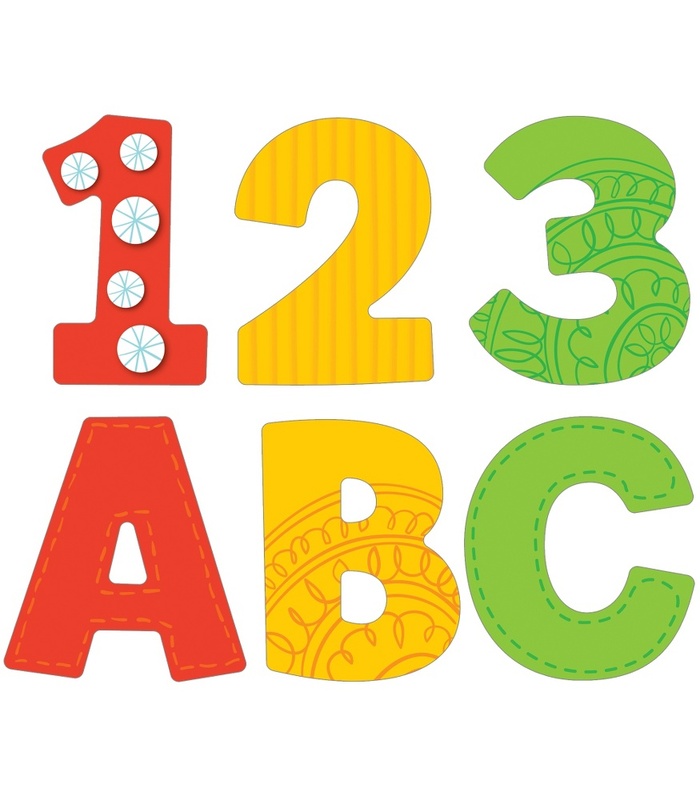 * It includes a "Standards Crosswalk" that shows the standards for the previous grade and the following grade so that you can see what students should already know and what the expectations are for the next grade. *You can easily see what standards you haven't covered, which makes for easier planning. The one con I have with this is that for every content area like Reading: Literature; Language; Speaking and Language; etc there are only 30 spaces for students. So if you're like me and you teach 60+ kids, you have to purchase multiple books. I wish there was one for just the Language Arts Standards since I'm (like lots of you) departmentalized and don't teach math. But this isn't that big of an issue! At only $9.99, I can easily purchase another book. You can check out the video for lots more useful info about this fabulous resource! My absolute FAVORITE part of this entire set is the precut letters! Raise your hand if you hate punching out letters?? And what's worse is there simply isn't a good way to store the ones you save after you've punched out the ones you used! I am thrilled with these letters!!!! Love, love, love! Are these birds not the cutest things ever?!? I *love* them! I used the Classroom Management set to create this board for my class jobs. Since moving to 5th grade, I haven't been big into classroom jobs, but I do have a few that need handling (like Chromebook charging and handing out) and it's nice to have the board to help with this! Plus, it's just really cute! I want to know YOUR favorite Carson Dellosa collection? They've released a bunch of new themes you can check out here. I'm loving the new bees! Be sure and follow CD on Facebook to stay up to date with their latest products! Oh, that record book might be calling my name!!! Off to review the youtube video. Great popping colors with those BIRDS!! Have a great school year!